so close to the finishing line it sometimes comes as a surprise to still be sticking to £1 a day for food. Great relief all round to get to bedtime. 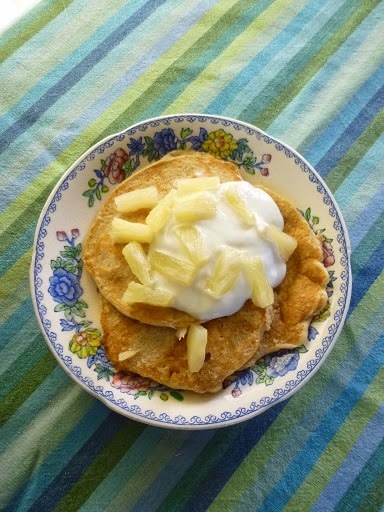 with yogurt, pineapple and syrup, 18p. oat pancake batter from yesterday. 50ml milk to make it runnier, and cooked three small pancakes. a few of the remaining pineapple chunks. 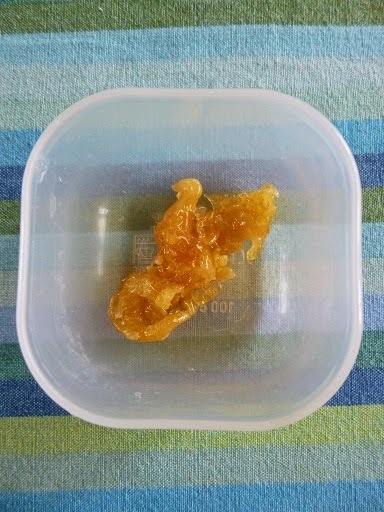 Weird pineapple toffee. Not delicious. 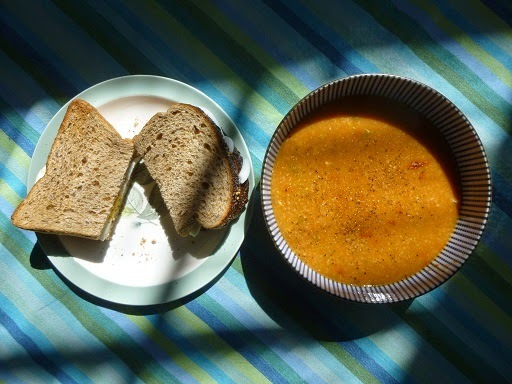 What do we think of the lighting on this soup & sandwich combo? Too much? about 2pm, by which point I was more than ready for it. as a substitute for the butter or mayonnaise I couldn’t afford. with a decent dose of pepper. 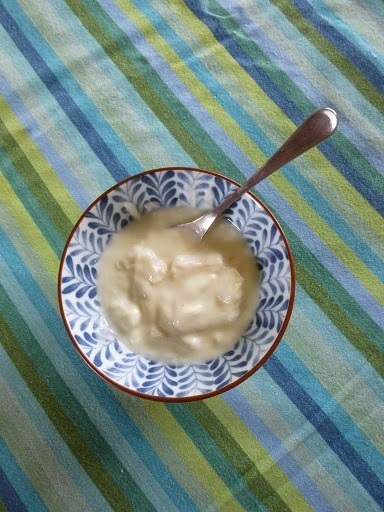 When you’re hungry, you forget to make it more photogenic by putting the yogurt in first. stand a chance. They almost didn’t make it as far as a photo. 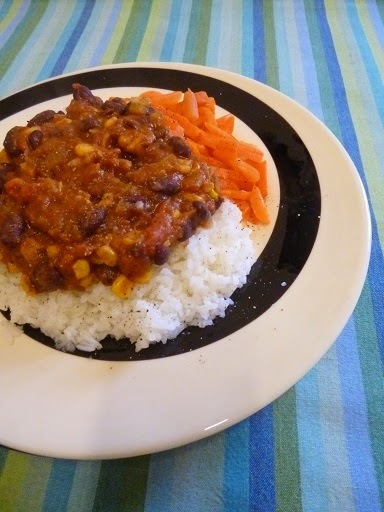 Good chilli, soggy rice, blah carrots. Still ate it all. consider the prospect of food going off and having to be thrown away uneaten. the bag of frozen mixed vegetables at the start, and some rice. a nod towards health and I cleared the plate. 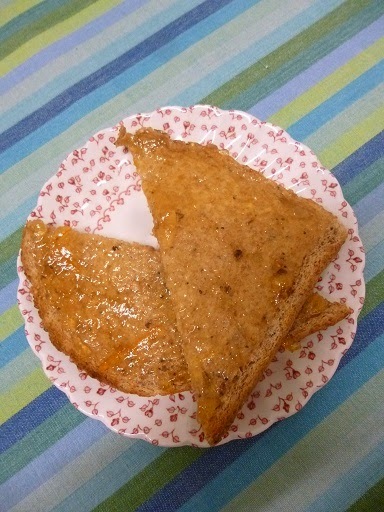 Toast and marmalade. Paddington would be proud. Line: the last crust of bread with some marmalade. bear from Peru ever considered campaigning on issues about global food poverty. the fifth and final day of Live Below the Line come to £1 exactly. cup of tea and a whole banana, all to myself. poverty is their reality, every single day. Next Post The day after Live Below the Line – can you guess my first meal? I'm on day 4, tomorrow night will be my finishing line. I can't wait !! Hang on in there, you're so close! What are you missing the most? I would love the freedom to rummage through my cupboards and freezers and pick exactly what I fancy to eat.